Facing DevOps Transformation Failure? These Might Be The Reasons! "There is nothing to writing. All you do sit down at a typewriter and bleed." "Infographics will continue to exist in any media format that is committed to quality." "Online video is the swiss army knife of internet marketing." "Here is what we have done for our customers and what it has meant to their businesses." Algoworks Celebrates 72nd Independence Day of India! 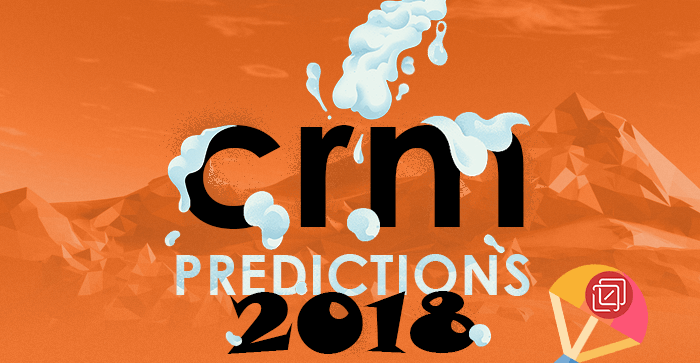 What To Expect From CRM In 2018? "A great presentation gives smart ideas an advantage." 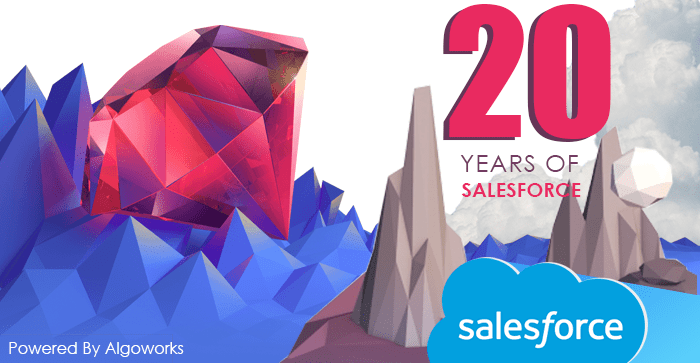 Salesforce completed 20 years recently. The celebrations were grand with thousands of employees and trailblazers and Ohana family joining in. The world’s no. 1 CRM has come a long way since its inception, which you can witness through this infographic! 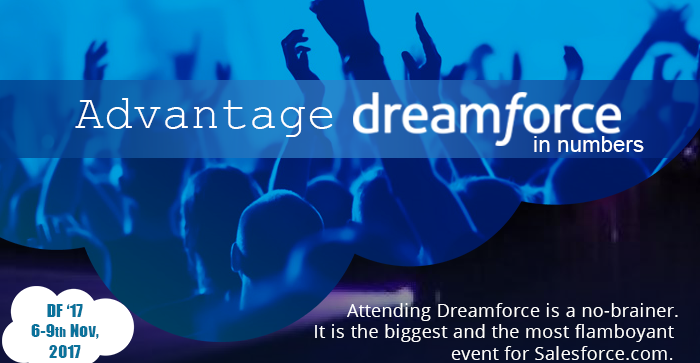 Salesforce Dreamforce 2018 is just around the corner! This infographic summarizes all the reasons to attend this year’s ultimate event, so don’t miss out on the details. Show up in your best self from 25th September to 28th September! 😉 Related Blog: Dreamforce 2018 Countdown Is On. Are You Ready? Salesforce has been coined as the world’s top CRM company and customer company. 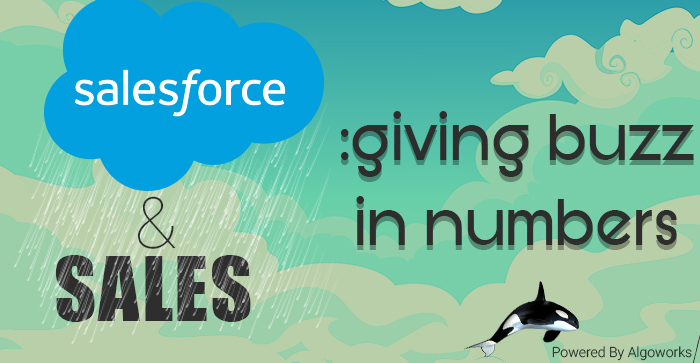 It has been soaring high in the clouds, so let’s brush through some of the amazing eye-popping facts of Salesforce that makes it number one. 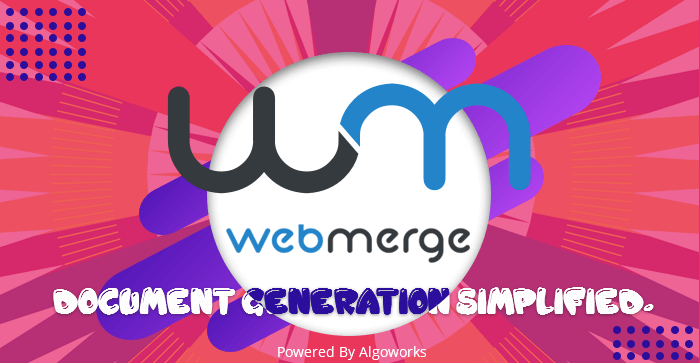 Document Generation and Management made easy with WebMerge. WebMerge is a new buzzword this year so let’s have a look what is the buzz all about. 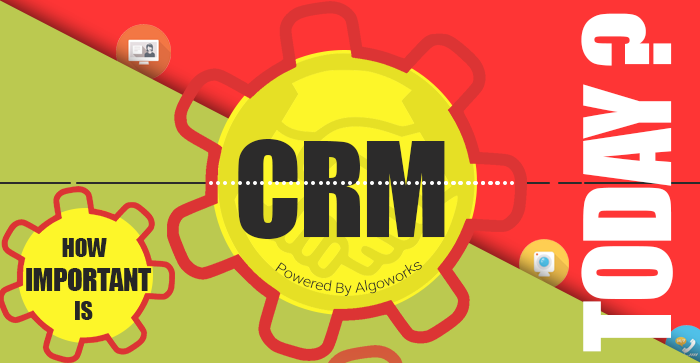 The coming year will be a stirring one for businesses, esp while talking about CRM technology. 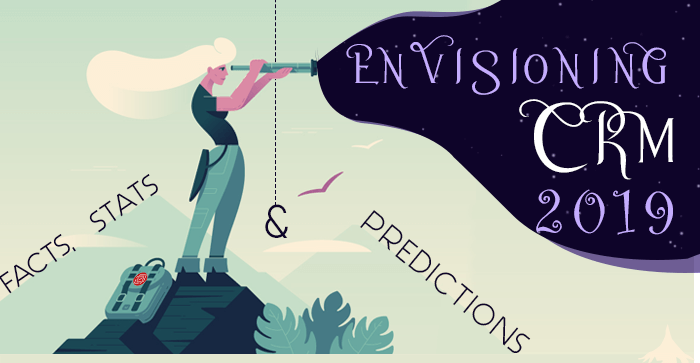 With the arrival of the prognosticating season, let’s quickly see what will be customer experience and customer relationship management predictions, trends and statistics in 2018. Dreamforce is a colossal event. 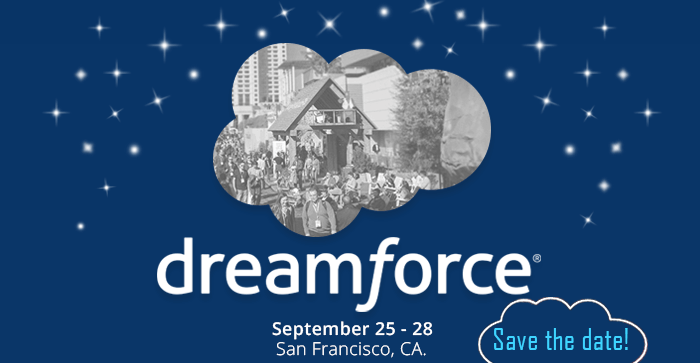 With thousands of sessions and myriad live solutions from the globe’s largest cloud ecosystem, Dreamforce will help you reap awesome benefits in various domains. Let’s have a look. Marketing Automation is the new buzzword and it holds a significant position in the realm of business. 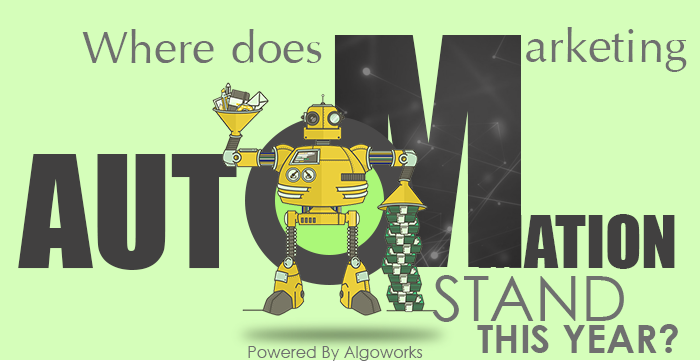 Let’s witness what is the status of marketing automation this year and how far its impact could be echoed. CRM or Customer Relationship Management has become unavoidable and imperative in the world of business to reach the desired level of success. It has reached new heights and the stats of the current scenario will reveal it all. 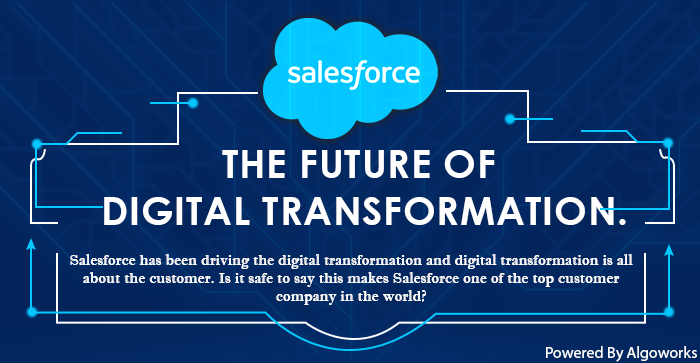 Salesforce has been coined as the world’s top CRM and there is always a constant buzz around it’s latest developments. So let’s check out what changes it stirred in the world of IT, Sales, Services and Marketing!! !